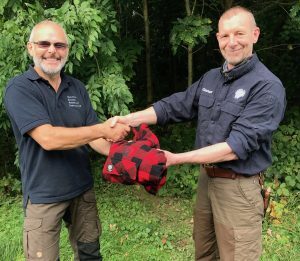 Congratulations to Ted on completing the Level 4 Instructors and Mentors Award in Survival, Bushcraft and Wilderness Living Skills. 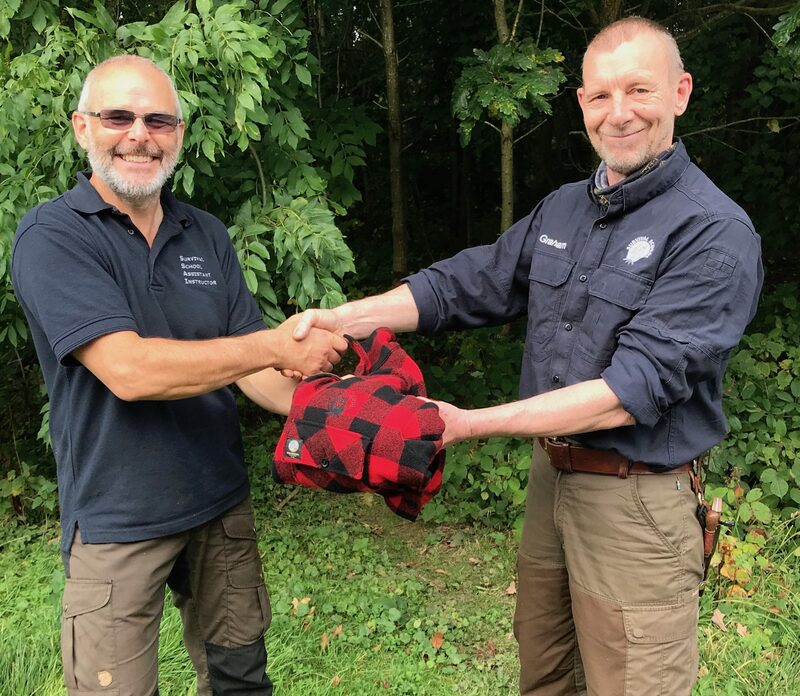 As is the custom, a new instructor is presented with an old instructor’s jacket with the coveted logo. Thanks Graham for the presentation and well done again Ted.